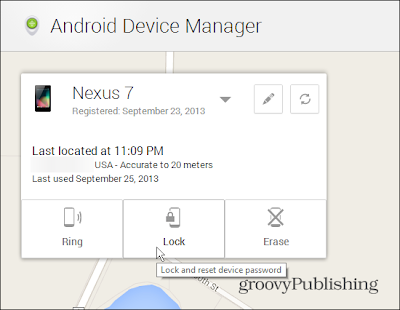 We recently covered how to use Android Device Manager to find your smartphone or tablet. It gave you the option to ring your device or completely erase it. 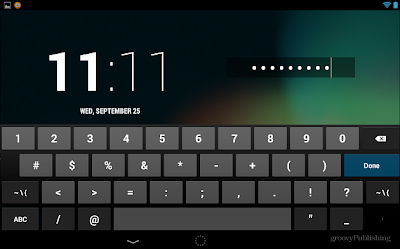 Recently a new option has been added that allows you to remotely change the password and lock the screen. 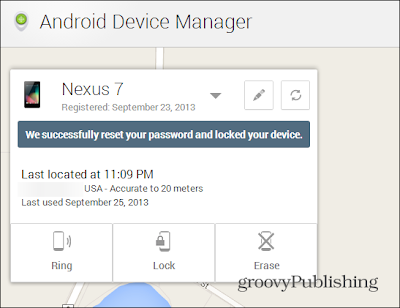 If you havent enabled it yet, check out our post on how to set up Android Device Manager. 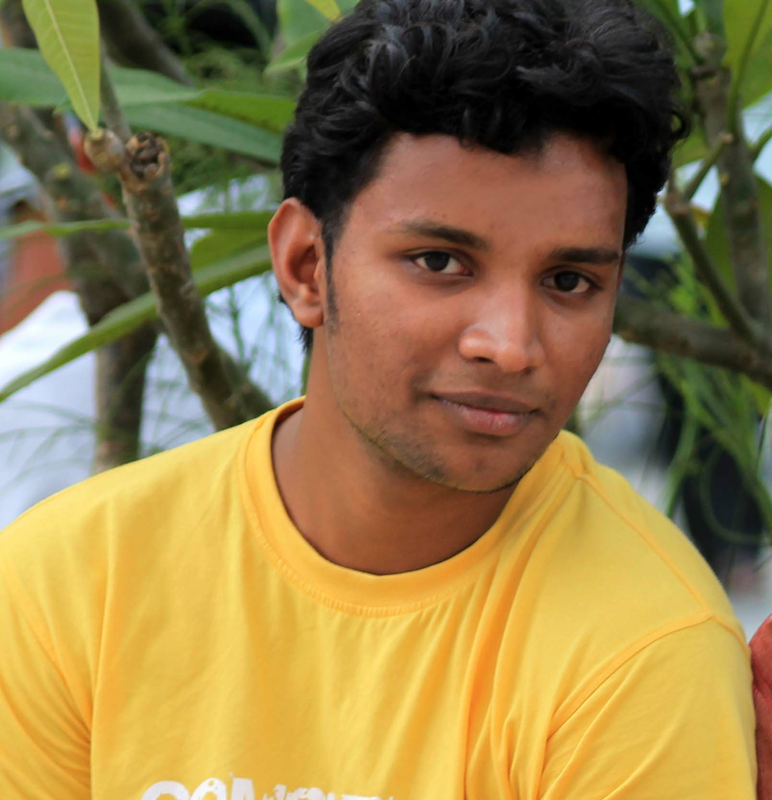 When you do, youll now see an option to lock the screen in the list of features. 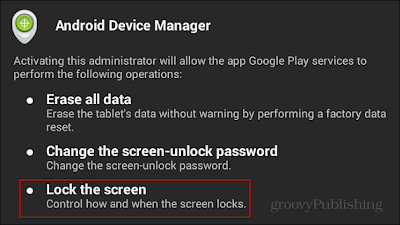 If you already have it enabled, you dont need to do anything, youll see the lock screen feature when using the Android Device Manager website. After selecting to lock your device, youll need to enter in a new password. Then youll get a verification that your Android has been locked and the password has been reset. 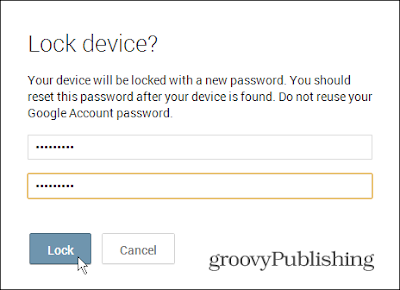 When you find your smartphone or tablet, youll find it has been locked and youll need to enter in the new password you gave it. The find my Android feature has been a long time coming, and the addition of being able to lock it and reset the password makes it feel more complete, versus just having a ring and erase option.